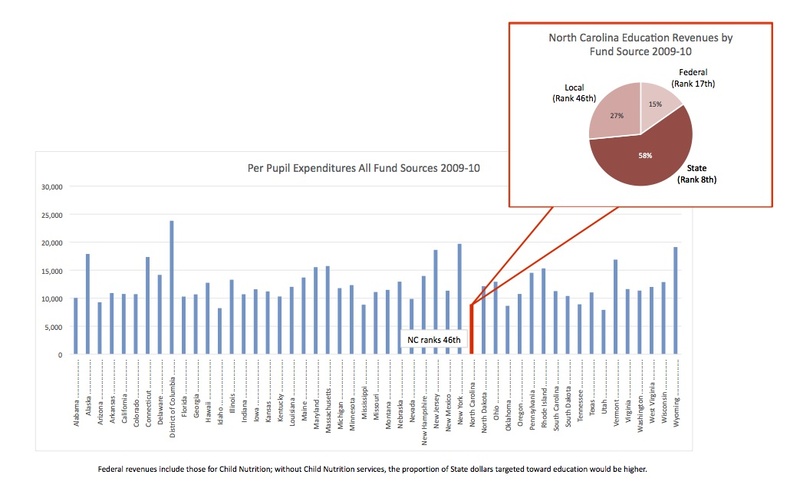 The chart below with an interesting perspective on education funding that crossed my desk this week from the NC Department of Public Instruction. Click on the chart for a closer look. The greatest treasure that any nation can ever have is its children. America entrusts its greatest treasure to some of the lowest paid workers in any developed nation. The American teachers, among some of the lowest paid professionals in any developed nation, provide teaching materials out of their OWN meager pay. 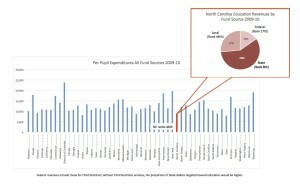 And according to this chart North Carolina is one of the worst – of the worst – places in the world to raise children. Our legislature has let us down and we will pay for it in the years to come.